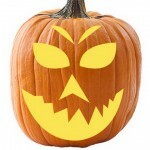 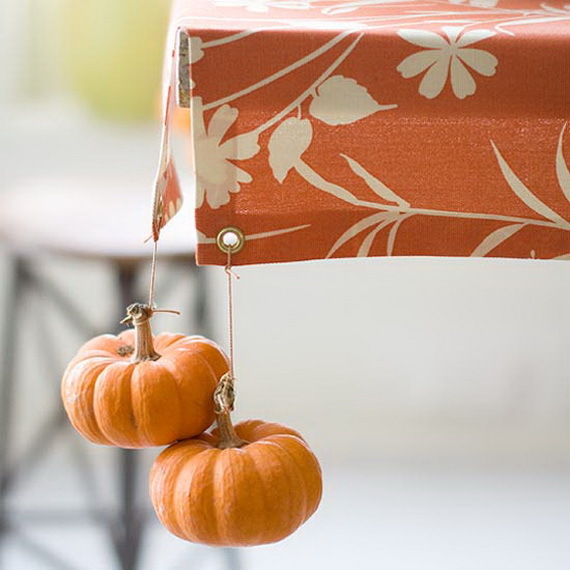 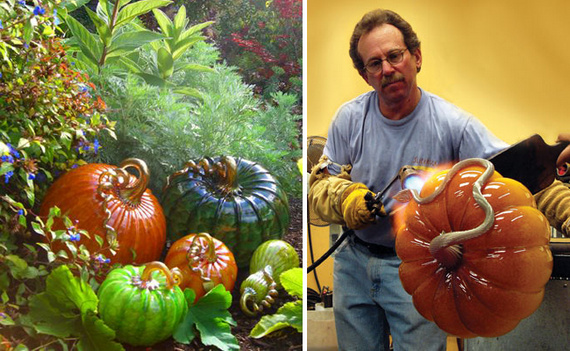 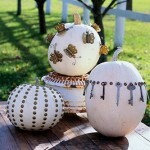 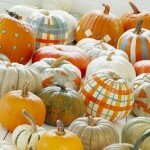 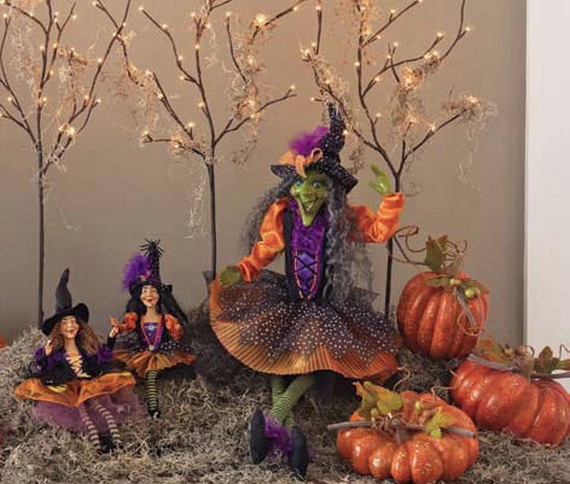 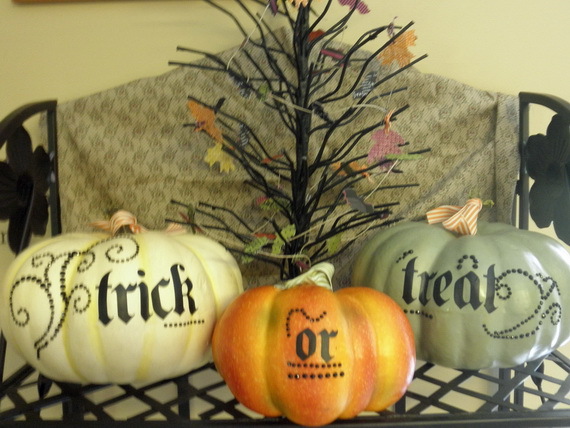 Get ready for fall with these fresh ideas for decorating with gourds and pumpkins. 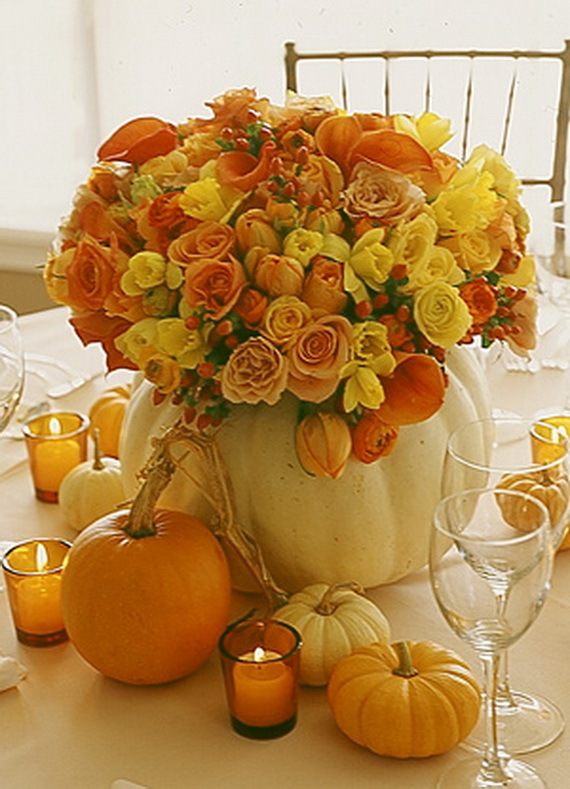 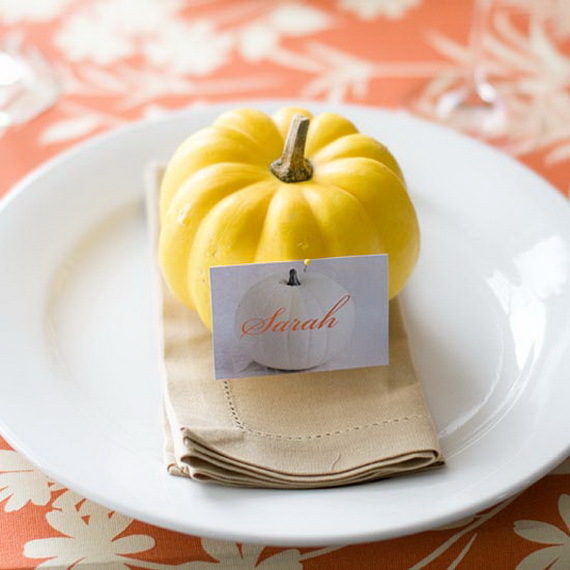 The rich fall colors of gourds and pumpkins make it easy to create an elegant centerpiece. 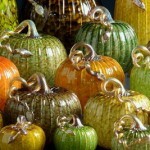 These pretty pumpkins would also look remarkable grouped on the table Set a festive tone with a table piled with these Gorgeous Gourds and Pumpkins. 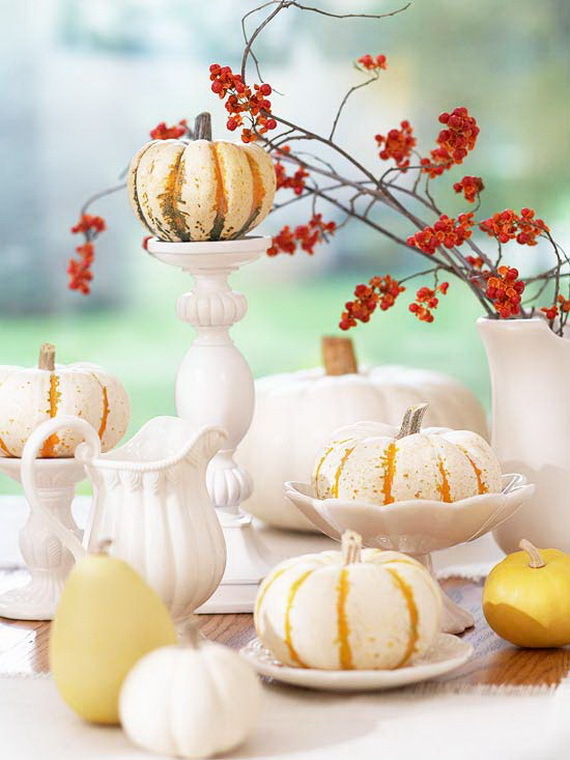 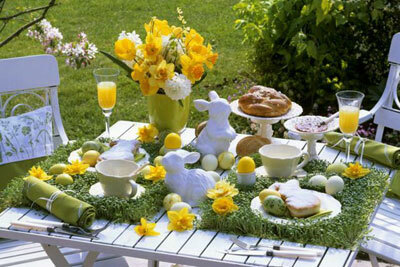 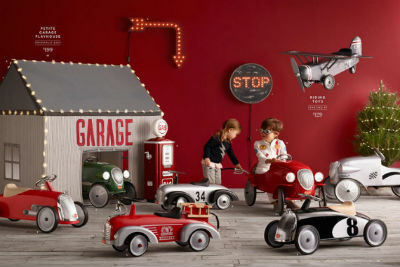 Raid the cupboard for display ideas such as bowls or cake plates. 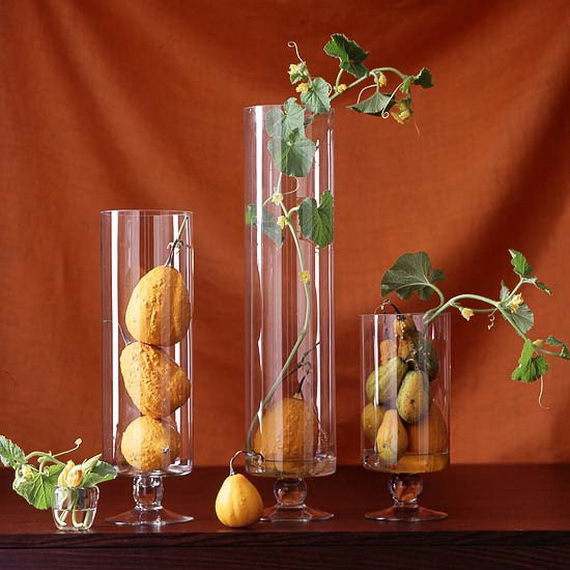 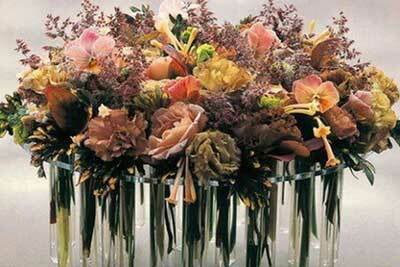 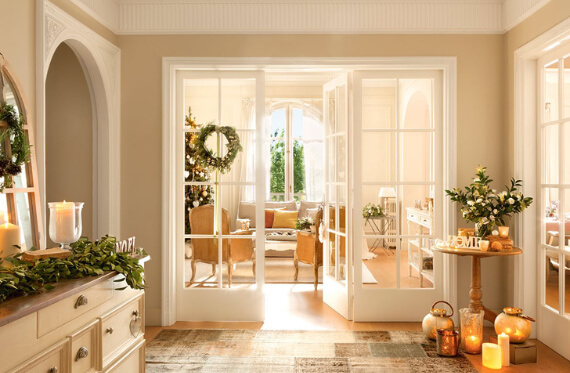 Use them to add autumn elegance to your home — inside and out. 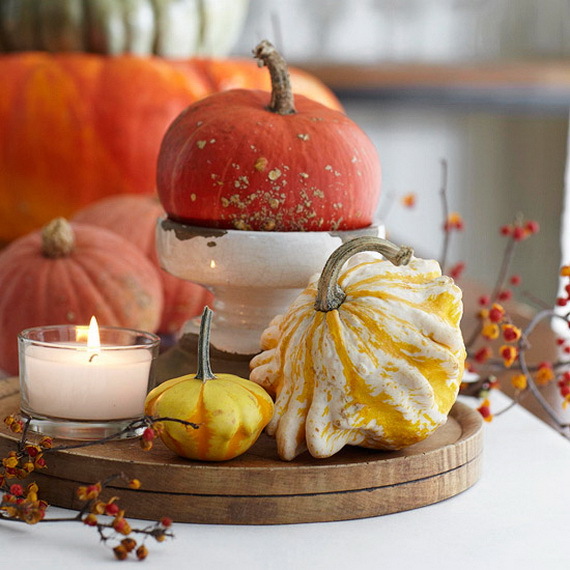 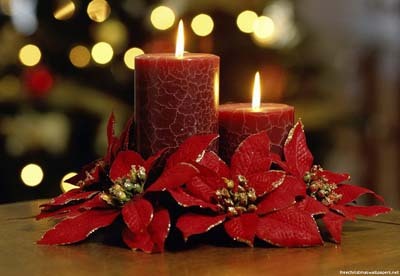 They can be used as a Thanksgiving centerpiece. 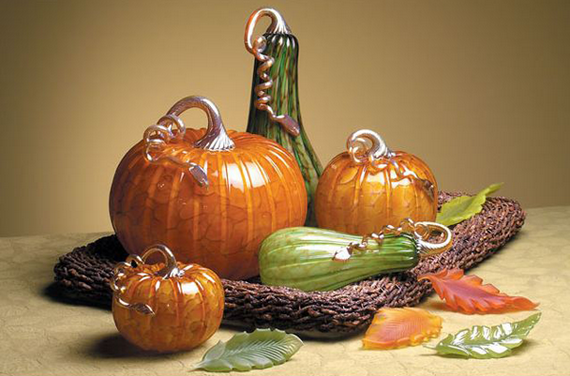 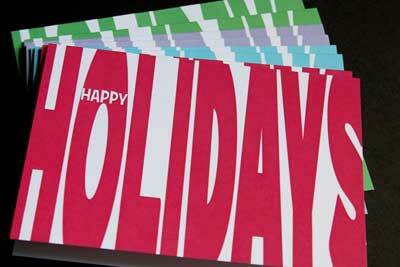 And also, they’d make great hostess gifts for fall functions! 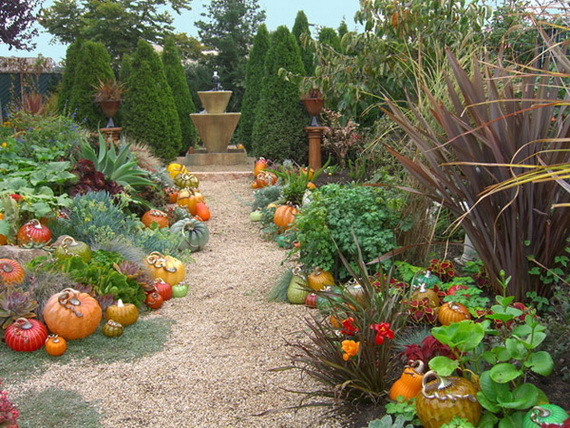 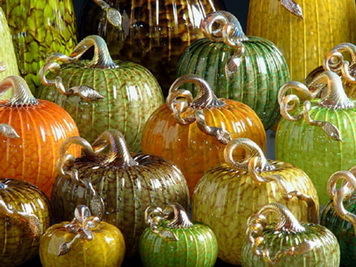 The glass pumpkins could be outside in the garden or the yard and tucked them into the leaves where the translucencies of nature and glass combined, exaggerating nature’s colors.